The Pokémon Company International has announced plans to release a New Nintendo 3DS Pokémon 20th Anniversary bundle across North America, which will help commemorate the brand’s celebratory year. 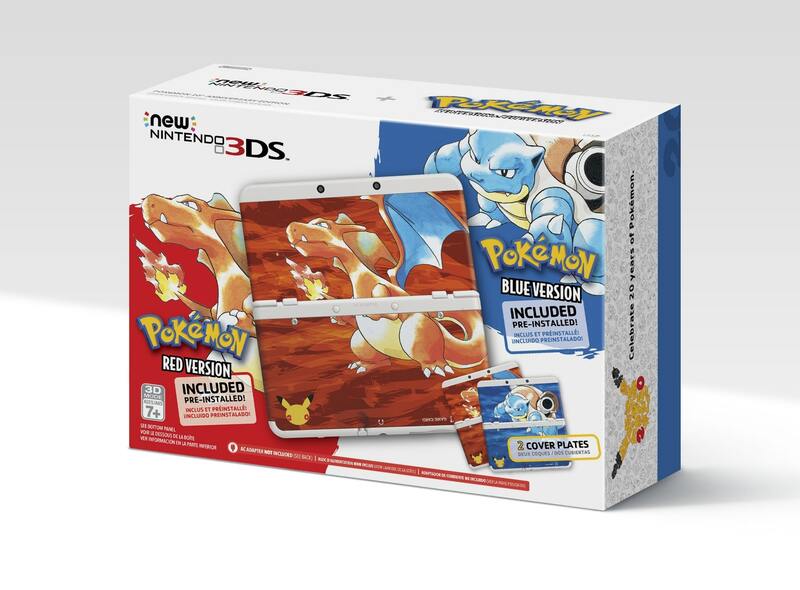 This bundle will include Pokémon Red Version and Pokémon Blue Version pre-installed on a White New Nintendo 3DS system. Two cover plates with artwork taken from each game’s original box art and the Pokémon 20th anniversary logo will also be inside, as well as a download code that can be redeemed on the Theme Shop to receive an exclusive Pokémon 3DS HOME Menu theme. Those in Europe will instead be able to choose between three transparent 2DS bundles, coloured after Pokémon Red, Pokémon Blue and Pokémon Yellow: Special Pikachu Edition. 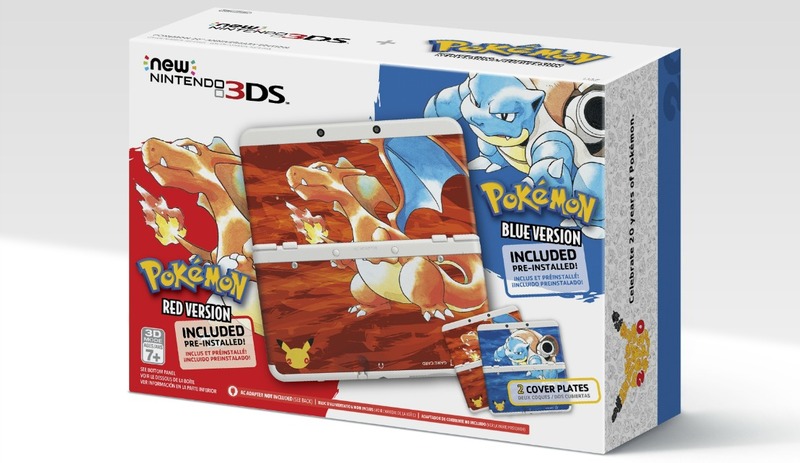 The New Nintendo 3DS Pokémon 20th Anniversary bundle will launch across North America at retail on February 27th.